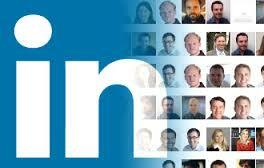 LinkedIn recently rolled out a new function – Endorsements – which simply allows users to endorse each other’s skills. When you put your various skills on your profile, for example ‘management’, or ‘graphic design’ or ‘copy writing’, another person from your connections can come along and endorse your abilities. It is very easy, just one click and their name will appear beside that skill, saying that they are one of your endorsers and they think you can perform that skill well. Recommendations are a little different. Using free text, another person can write in their own words what their experience of working with you was like. This allows them to communicate their true opinions and feelings as well as sharing their positive experience, rather than just a ‘yes, he is good at that skill’. But, what does a potential employer think when seeing these two items on your profile? What are they truly worth? Endorsements carry less weight with an employer as they have been abused, and the feedback from serious users is negative overall. We have to accept the endorsements once someone has endorsed us, but many people just accept any old endorsement from anyone, which means that, yes OK, someone thinks you are good, but how do they know? Have they worked with you? Or are they just some random school friend who endorsed you for the sake of endorsing? These people might never have actually seen you demonstrate these skills and yet they are willing to put their name to it. There is no way a potential employer can tell the difference between a genuine endorsement and a meaningless one. Another negative surrounding LinkedIn endorsements is that they do not indicate the level of your competence. You could be a superstar who knows everything there is to know about the topic, or you could just be familiar with the concept of the skill and may actually have never demonstrated competency in this skill, ever. A proficiency scale would iron this out, but at present there is no scale in place. All that people learn from an endorsement is that you know this skill, according to whoever endorsed you, but not how good you are at it. Recommendations are the way forward when it comes to engaging a potential employer. Recommendations consist of free text, which allows your recommender to use their own words when describing how they found you as an employee, employer or client. When an employer seeks a reference, they are looking for a true picture of you, which a written recommendation on LinkedIn can count towards. They will take the time to read the words of a recommendation, because someone else has sat and taken the time to write it for you. Forumites describe endorsements as ‘recommendations lite’. Yes, endorsing someone is recommending them, but it is quite vague, leaving employers reluctant to place any weight on them at all. The best thing to do when managing endorsements is to only accept the genuine ones. Even if this means you only have a handful or none at all, it is better than having hundreds of endorsements that don’t mean a thing. If someone clicks through to your profile and sees that you have 200 endorsements on your ability, they will question just how you obtained these endorsements. Unfortunately, many people are just endorsing meaninglessly and until ‘Endorsements’ are changed or improved, they will continue to mean very little to anyone viewing our profile. Strong recommendations and a sprinkling of true endorsements will massively enhance your LinkedIn profile, which will in turn help potential employers to head hunt you and they will be able to see just how fantastically competent you are. Why not send out a few emails to your contacts to see if they would be willing to give you a recommendation that will boost your profile?